The Facebook boss posted an adorable snap of his daughter. Star Wars fans all over the globe have been dressing up for the release of The Force Awakens, but are any of them as cute (or rich) as this little one? 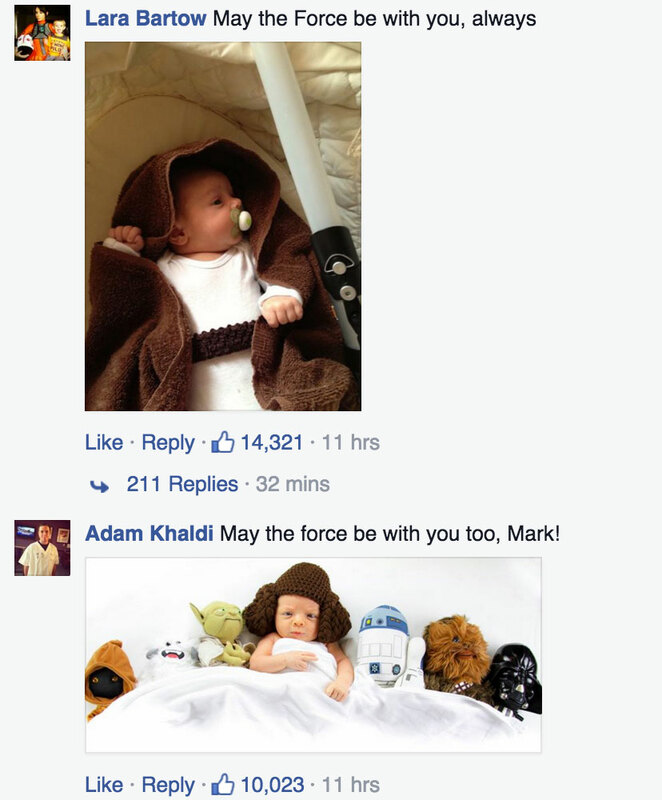 Mark Zuckerberg has shared an adorable photo of his daughter Max dressed as a Jedi on - you guessed it - Facebook! The photo, posted along with the caption: "The force is strong with this one" sees little Max wearing a Jedi cloak, complete with a mini lightsaber, Chewbacca, Darth Vader and BB-8. The Facebook chief and his wife Priscilla Chan announced the birth of their child on 1 Dec 2016 , just in time for the anticipated Star Wars release this week. The force is strong in these little ones!